Experience a Green Hotel in the Green Mountain State! Welcome to the Hob Knob Inn! 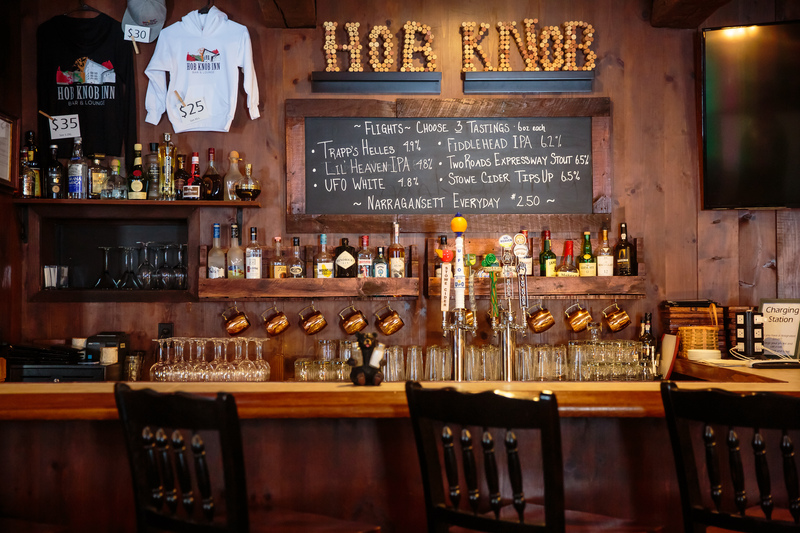 Built in 1937 as the first lodge for skiers in Stowe, VT the Hob Knob has always been a family owned and operated business. Since 2003, upon arrival my family has had the pleasure of greeting our guests who have traveled from around the world to our award-winning town of Stowe. There’s no place like Stowe! Our town blends New England landscapes, charm and hospitality with modern day conveniences and amenities. Something for everyone! Think of Stowe and of course, you think of the world-class skiing and the “Front Four” at Stowe Mountain Resort, but we have so much more to offer. Year-round attractions from A to Z including action adventures, art galleries, attractions, bike-riding, bowling, craft beverages & brews, dog-sledding, golf, hiking, ice skating, mountain biking, fairs & festivals, performing arts, shopping, sporting events, strolling the renowned Rec Path, world-class dining, zip-lining and more! At the Hob Knob Inn, we strive to be comfy, cozy and clean. Our 20 guestrooms have an inviting, home-like feel and each nights stay includes our continental breakfast that is served in our intimate and informal lounge. Our 10 lush acres located on the Mountain Road offer views of Mt. Mansfield, two ponds and outdoor hot tub. Enjoy a drink in our lounge and some comfort food from our kitchen Thursday, Friday & Saturday. Bring the family, play some games and enjoy! Hob Knob Inn’s Bar & Lounge closed for mud season March 24 through June 26th 2019. Offering a private and cozy space for the whole family to enjoy! Play board games with the kids, enjoy hoop fever or try one of the arcade game machines. Specialty tacos, the famous Hob Knob Burger, a short wine list and full bar will top off a relaxing and fun evening. Bar Open Seasonally. 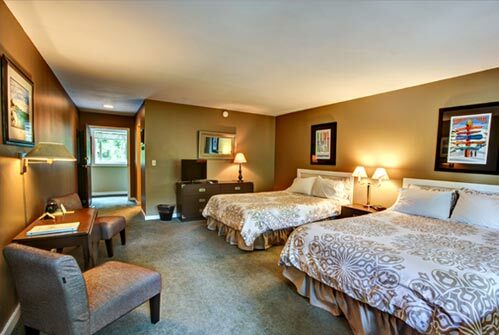 Our 20 comfortable, cozy and clean guest rooms are nestled on 10 acres set off of Mountain Road in Stowe, Vermont. Spacious guest rooms provide plenty of room to stretch out relax. With 6 different types of rooms there is something to satisfy all. 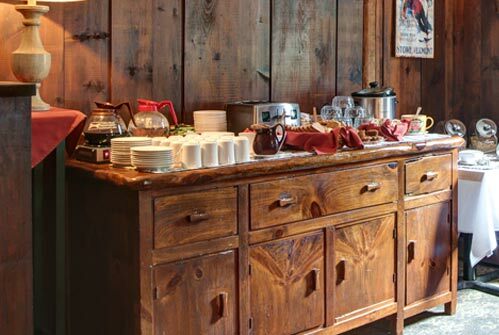 Complimentary continental breakfast is provide from 8:00am to 9:30am each day. Relax in the hot tub year round; enjoy outdoor pool from Memorial to Labor Day; take in the natural beauty of our 10 acres with 2 ponds, matured gardens and mountain views.